Are you Happy? How Do You Rate? Are you a happy person? Happiness is a matter of choice not just luck. How often have you thought of someone as simply having a happy disposition? The truth is that happiness doesn’t just fall into your lap, rather it is something you need to consciously work at. Chances are that person with the happy disposition consciously makes life choices to create that feeling, every day. For some people this comes easier than for others, but everyone can choose to be happy and then to take the steps to make it happen. Just by changing habits in their life for ones that create more happiness they can shift themself towards the happier life they crave. Happiness is not something that occurs all the time. Life is a series of ups and downs. Rather, being a happy person indicates that you are able to bring yourself back into that lighter state when you find yourself falling into darker moods. Use this checklist to learn how happy you really are. So just how happy are you? If you didn’t rate so highly try adopting some of the practices on this list. Start with just one or two and do them until they become a natural way for you to act or think. Then gradually add some more. As you increase your happy practices it becomes easier to add more and more, and you will find you feel happy most of the time. 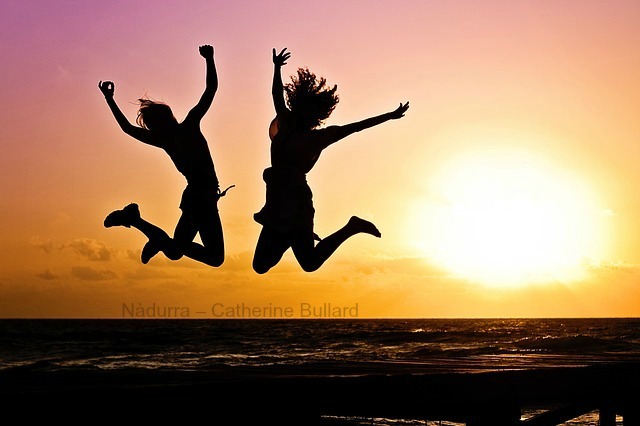 What makes you feel really deeply happy? Leave your reply below? Often when you live a life based on good health you get focused on the physical – eating healthy food, getting enough exercise, or avoiding toxins. But to achieve good health you need to takes steps on all levels, and the physical is only the starting place. It is equally important to manifest change on each of the levels of mind, body and spirit. The time of the New Moon is especially potent and the best time to birth anything new into your life. Creating a New Moon Ritual is a powerful way to stimulate new beginnings and change. New Moon Rituals address all of three of three aspects of yourself, the mind, body and spirit. They help you to clarify desires, to form that desire into a goal, and to set an intention for achieving it. Unless you have been guided to this by someone you will most likely not know how to do it. For years I have held amazing New Moon Red Tent Circles to coincide with the New Moon. They are the most wonderful supportive space for busy women to take some time out for just a few hours. They provide the space to tune into yourself and identify what’s not working in your life, what’s really p*ssing you off, and most importantly, where you need to make changes and exactly what you want to begin in your life. It all happens with a group of women who offer unconditional support for you to gain understanding and clarity. 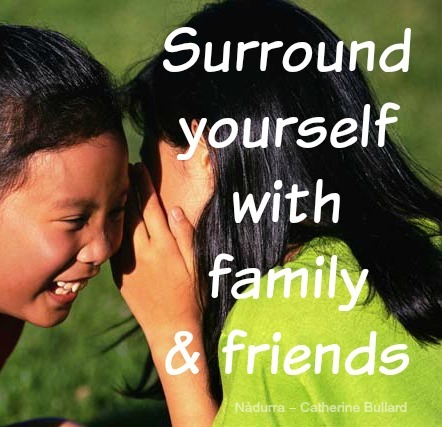 All in the group can share without comment or advice from others, and can even vent if they need. Everyone usually gets amazing insights. Throughout history indigenous societies always honoured the time of the New Moon because it is the time when our intuition (those gut feelings you get) are at their strongest, especially for women. Test this out for yourself. Keep track of what messages your subconscious sends to you in the few days around the New Moon. Often the messages come through your dreams. Take notice if you wake up suddenly knowing the answer to something that has been troubling you. This is also the time when many, especially women, feel extra weary. Your body may feel heavy, sleepiness overcome you in the afternoon, you crave early nights or you may feel less like going out and socialising. This is you telling yourself that it is the best time to slow down and go within. This is the best time to access the knowledge you already have for a better, happier life. The time of greater awareness varies from one person to the next but usually is for a few days around the New Moon time. 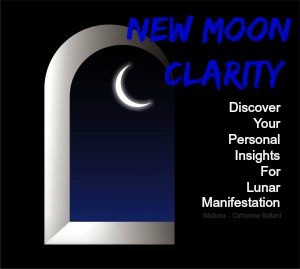 As the actual time of the New Moon varies from one place to another because each place is in a different time zone, you need to check for the exact time and date in your area. Remember to set your own location. One of the things that always forms the closing of my New Moon Red Tent Sessions is the creation by each person of their Lunar Manifestation List. It becomes too easy for us to roll along on our merry way, one week passing to the next until we suddenly notice that another whole year has passed us by. 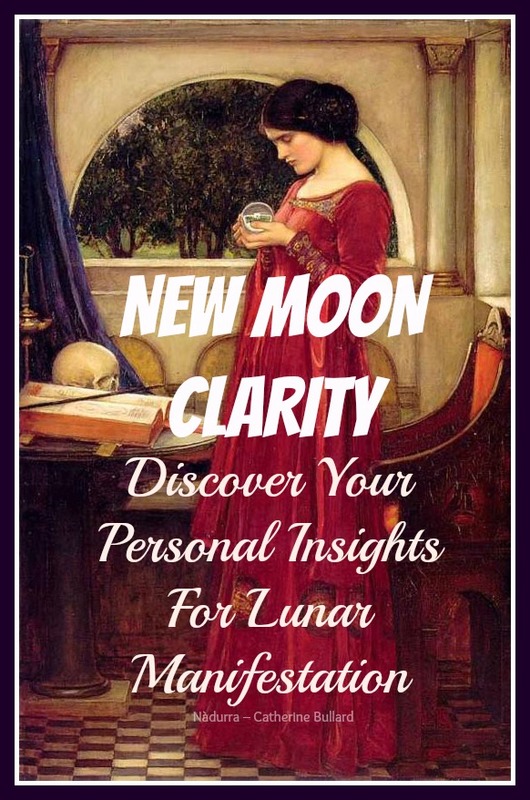 Using the New Moon to set our Lunar Manifestation Intention List is simply a form of getting clear on your wishes for the month, like a monthly goal setting. But it is more than just ‘goal-setting’ as this one really comes from our heart. It’s important to wish for what you really do need in your life, or what you don’t need. Whatever you decide to include on your list frame it with the intention of stimulating personal growth. You may wish to change a bad habit, or a relationship you have outgrown or one you are now ready to welcome in. There may be a material possession you would love. You may need more self-nurturing. Perhaps you would like to undertake some form of service to others or to allow others to do things their way. It may even be to simply change the way you view a situation. Whatever it is you wish to create can be added to your list. When I look back on my own lists I am struck by how often what I wrote came about. For about 18 months I kept adding ‘New Car” to my list. But no new car appeared. Then one month I wrote down the make, the model and even the colour of the car I wanted. Six weeks later just that car was sitting in my driveway, and I got it for an awesome price too. When I got really serious and was more specific about my list, my focus and my energy was directed towards achieving that goal, like an arrow. Don’t just dive in. The result will most likely be superficial. This is the time you need to get real. Spend the time to really tune in to your subconscious, your inner knowing, if you want to discover deep insights about how to change for the best. You can simply sit and write your list but if you spend some time beforehand to really tune in to yourself you receive greater clarity about the deeper issues that are holding you back.Also you may find something you are ready to receive in your life that you were not yet aware of. If you meditate this is an awesome way to tune in to your intuition. You don’t need to meditate, it’s not essential. Simply taking some time to go somewhere quiet, somewhere you won’t be disturbed is enough. It may be a special space in your home or somewhere you love in nature. Wherever you choose just make certain you are somewhere you will not be interrupted. (For busy Mums it may even mean locking yourself in the toilet!) Just find somewhere quiet and peaceful. Make sure you have pen (they can be coloured) and paper with you, the list needs to be written by hand. 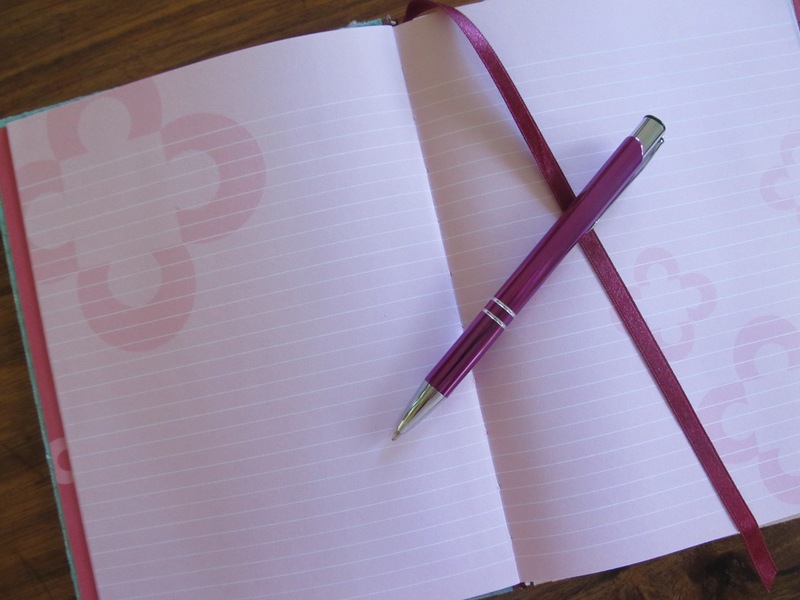 A journal is perfect for keeping your Lunar Manifestation Lists together if you would like to keep them to look back at later. If you wish play some uplifting music, light a candle or do anything that has special meaning for you. But make sure it doesn’t intrude and draw your attention away from listening to your intuition. When you are seated comfortably take a few moments to relax yourself. Start by loosening your toes and work your way up your body. Finally feel your shoulders drop, your jaw relax and your forehead un-crease. Now take a few deep belly-breaths. As you breathe in imagine the Indigo Light of Intuition entering your body along with your breath and spreading through every cell of your body. As you breathe out feel the stress of your day and any negative thoughts you are holding leave your body along with your breath. As you breathe the Indigo Light within on each breath feel yourself connect more deeply with your inner knowledge. Allow your breath to relax into a natural rhythm and sit for a while opening yourself to any thoughts or ideas that flow in. If thoughts about what you need to do today are blocking out anything else then maybe what you need to manifest right now are some organizational techniques so you can get all that stuff out of your thoughts. Bringing in techniques such as this will free up lots of brain space for other things in your life. So put it on your list. What you need may come to you as a a picture in your mind-eye, you may hear it, a clear thought or even just a sudden flash of insiration. Be open to receive. Write your list in the present tense, as if it is already happening. While you can’t wish for change in others, that it for them to determine themself. However you can wish for changes to yourself that may then affect them later. Add up to ten things to your list. More becomes too many and lessens their impact. Less is fine, simply putting greater focus on what you do add, but you do need more than just one or two. Each New Moon of the year is associated with a different part of your life and your list is more potent when you focus your wishes on that area of your life. This New Moon right at the start of Aquarius is about BIG Plans, and seeking freedom in your life. This moon also has a link with the past and might be the perfect time to discover a new way to renovate, restore or revitalise an old problem or relationship. Just one more step – speak the list out loud. Giving a voice to your intentions empowers them, and anchors them in the front of your awareness. When you have finished, thank your Higher Self, your angels, or simply the universe, blow out the candle and you are done. 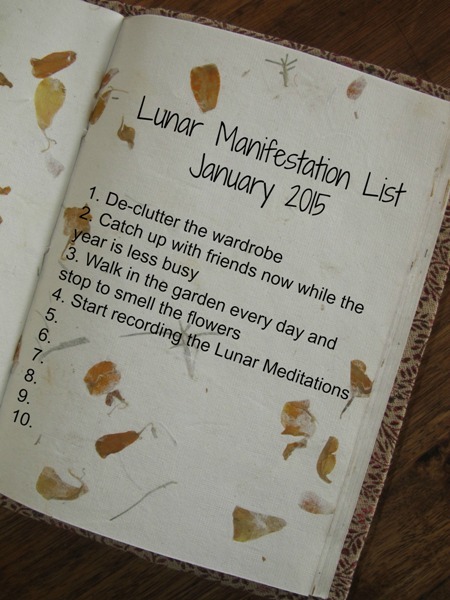 Lunar Manifestation Lists are not like affirmations. You don’t have to keep repeating them. Once you have done the ritual you can put the list away. What you do with your list is up to you. Some women burn their list, others put them under their pillow, some even bury them. I keep my Lunar Manifestation Lists in a journal as I like to have the reminder later of the power of positive intent. Sometimes reading through them refocuses me when I feel I’m getting nowehere. There is no time frame around when the things you have placed on your list manifest. Sometimes you may need to include them for month after month. If you do your wish may need to be re-phrased (as I did with my car) or may not be right for you. Often when your intent is strong and you are focused you will find changes start to occur about two weeks later around the time of the next Full Moon. I hope you decide to adopt this wonderful practice into your life. It literally only takes a few minutes and by regularly setting yourself this focus the benefits are huge. Catherine Bullard trained as a Red tent Facilitator with Star Of Ishtar. As the year slides to its close the energies of the New Year may have already begun to affect you. You may already be formulating goals and plans that you would like to birth in the year ahead. 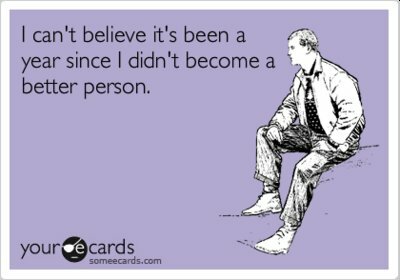 New Year resolutions may already be forming. You may even be plotting pathways to achieve those goals. You may be one of the many who want to get a jump on the New Year, to enter the New Year already clear about how you’ll achieve your goals for 2015. One way to set the founadtion for success with your goals is with a simple New Year Release Ritual. For the last few weeks I keep being surprised as I hear myself talking about things that will happen for me in 2015, ideas and plans I hadn’t even noticed were forming in my brain or my heart. But apparently these ideas were solidly there just waiting for me to notice. Many of us have already formed plans even if we’re not conscious of them yet and you may find you are doing the same. This year you’re being urged to get real about what you want for yourself, to set a considered plan of action, and to get to it now. 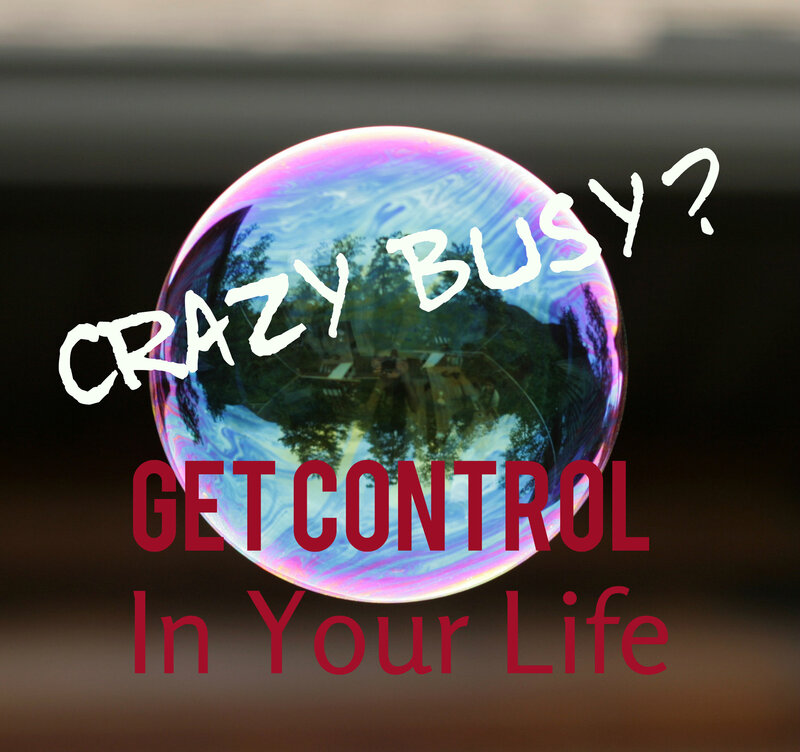 It is way too easy, especially in these fast-paced times to allow your life to slip past. Days flow into weeks, into months, years and suddenly a decade has passed you by. Trying to look back and see the detail of your life pathway becomes more and more difficult as time moves on if you have neglected to mark points along the way. 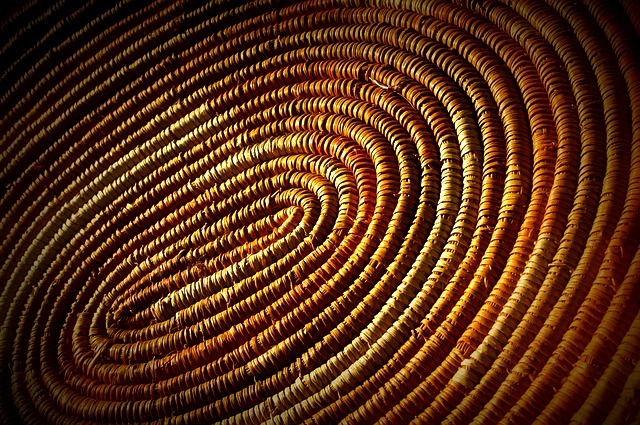 In times past traditions and ceremonies provided marking points in people’s lives. They provided moments in people’s consciousness when they paused, finding time to take stock of themselves and their life. We still hold on to some of these traditions – 18th or 21st birthdays, weddings, funerals – but many milestones are no longer honoured or even remembered. Many of those we do still hold no longer require us to examine and consider ourself and how our life to date has evolved. We no longer have many occasions where we pause and examine our progress in life, acknowledging our achievements and successes, appreciating our blessings, recognizing our lessons, and planning changes. Trying to establish goals and resolutions to guide you along the pathway to achieving your dreams without first pausing and taking time to appraise the road you have just traveled is like building your home over a sink-hole. Without solid footings the structure of your life will simply collapse. A Release Ritual is your opportunity to establish a firm base on which to build your future. It doesn’t take long to do and provides you with deep insights and clarity to steer you to better results. As the energies of 2014 begin to unravel set aside time to draw together the threads of the year that has just passed. 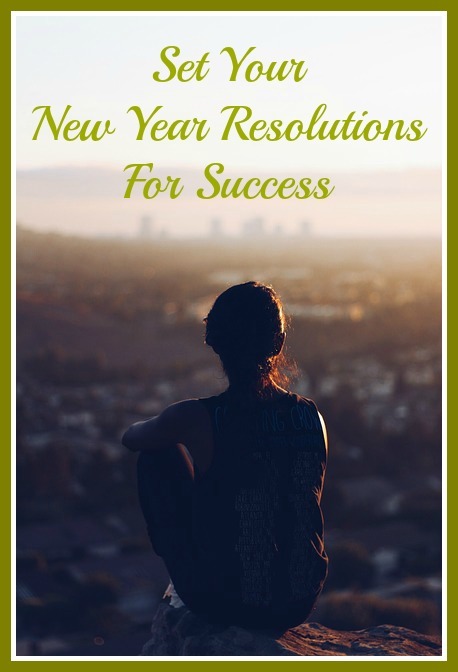 Find the space for yourself to weave them into a strong support that can carry you into 2015. Take time to examine your experience, the rainbow of coloured threads of your life, both the weak strands and the strong, threads of extreme beauty, and threads of fragility. Once you have examined the weave of your last year the signs that point to the new directions you need to follow next become apparent. Begin your reflection by settling down in a quiet corner with a pen, paper or a journal, and a relaxing herbal tea or coffee. Light a candle to signal the start of your ritual if this has meaning for you. Life has a habit of drawing you back to the same old lessons, over and over, spiraling round, often revisiting them under another guise, until you reach awareness and understanding of that particular lesson for your life. Each time you revisit the lesson gets louder, as if the universe is shouting so you will hear. To save yourself treading these same old well-worn paths yet again next year, begin your release of the old year by writing down the illuminating life lessons you learnt in 2014. What were those ‘Aha’ moments? What great insights occurred? Next add the dreams that came true for you. It’s easy to forget what the dreams you once held even were once they have actually happened, and just as easy to forget how dearly you held them, hoping they would eventuate. Remember to include the small dreams as well as the huge ones. The small dreams of life often grow into the big important ones. What did you achieve in 2014? Remember to include the small glories not just the major ones. What did you learn you could do that you didn’t realise before? Now you are ready to consider how you have grown in the last 365 days. How have you changed? What have you learnt about yourself? What changed you? What is it you now know about yourself that you didn’t know before? Write them all down. What did you discover you had outgrown? What no longer serves you? What, or who, did you release from your life? How did you surprise yourself – what did you do that you didn’t know you capable of? What have you done that swells you with pride? Was there something you were able to do that you have never managed before? Were you called to step up, and you did? What was there in this last year that was a source of grating disharmony? What can’t you tolerate any longer? By now you know what it is you just have to change in your life. Write it down. If there’s anything you need to get off your chest about this last year, do it now. Rant if you need to. If you feel the urge to cry honour it, it will bring release and relief. Now finally, write down what it is you are grateful for, the gifts you received from 2014. Include every little thing. As well as the big stuff in my life I include small joys in my gratitude lists like my morning cup of tea, or the slightly creepy but endearing smile my gorgeous dog beams at me whenever I arrive home. And now dear friend, you are ready to release the Old Year. You are now ready to face the year ahead. You are ready to set your resolutions, to clarify your dreams and your goals, to decide what is achievable for you, and to stride forth with purpose into the New Year. Take some time now to close down your releasing ritual. Close your eyes and breathe slowly and deeply through your nose, down into your abdomen. Hold briefly and then breathe out slowly through your mouth making a small sound as you do. As you breathe out give thanks for the past year, for all your experiences, your joys and pains, the lessons you have been given and the insights you have received. Breathe in again, drawing in with your breath the green light of healing, deep into your abdomen. As you hold it briefly allow the green light to flow into every cell of your body until your whole body shines with its emerald green glow. Breathe out again, slowly. Sense any negativity you have been holding in the cells of your body, any disharmonies from your past year, flow from you with your breath. Feel your shoulders relax as the weight is taken off them. Feel your body sink into your chair. Once more breathe in deep into your abdomen this time drawing in the golden light of possibility. Feel it flow freely through you bringing renewed energy to your body, clarity to your mind, and generosity and fulfillment to your heart. As you slowly release your breath allow the energy of the past year to ride on it. Allow it to float away, knowing that you hold within you all the loving positive energy you have earned in the last twelve months. You will always have the knowledge and insights you have gained. 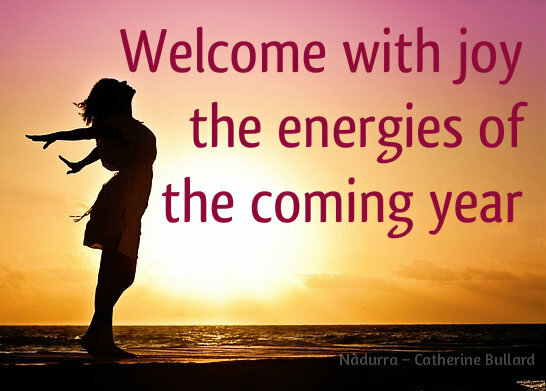 Take your time and when you feel ready open your eyes and welcome with joy the new energies of the coming year. More than halfway through another year and it seems everyone feels harried and overworked. Life and time is absolutely racing. Nobody seems to have any time to stop and chill, nobody has any time to even recognize their needs let alone address and fulfill them. As we become more and more switched on to the world outside ourselves it is no surprise that we feel overwhelmed, drowning in never ending obligation. The world and our lives seem to be an insurmountable task that we can’t ever see a way to scale. When goal-setting, if the task or goal seems just too big for you to succeed, even too big to know where to begin, it often becomes more easily achieveable when it is broken down and tackled in small chunks. As you succeed with each step you feel reassured that you can actually reach your goal, and you feel increased motivation to achieve results. It seems to me that if we can apply this same principle to our life we could create some level of control and the satisfaction of achievement. By breaking the year up into smaller segments and setting ourself goals for just a part of the year rather than the year as a whole would achieve a similar result to breaking down big goals. It would give us a sense of success and stop the feeling that we were skeetering along in life, barely in control. Recently, a client told me that last January she made a list of the 100 things she wanted to achieve this year. Her list included things like ‘see this friend 6 times for lunch’, ‘go to 4 movies’, ‘read a particular series of books’. She also had big things on her list like ‘change my job’. She proudly showed me just how many things she had already crossed off. Her list reminded her that although she may feel on the edge of control she was actually doing quite a lot that she wanted to achieve in her life this year. And not only did the things on her list did not remain in that “gunna-do” (‘going-to-do’ for non Aussies) vault, she was doing them all and enjoying herself along the way. How many of us spend January 1st making plans and setting intentions for the year ahead? How many of these are kind of vague – lose weight, stop smoking, or get a new job? How many fail because we have not a) been specific about what exactly we want, b) broken it down into manageable and achievable goals, c) followed through and d) actually remembered that we had set the plans and goals after April, until January 1st of the following year when we set the very same goals all over again? But my client did remember, she did follow through, she did feel like she had achieved, and most importantly, she felt as though her life was under her control, in spite of the fact that it was still just as crazy-busy as the lives of all the rest of us. My client set me to thinking that just as we break down own goals and projects into smaller chunks, it might also make us relax a little if we break our life down into smaller chunks of 6 months, or even 3 months. 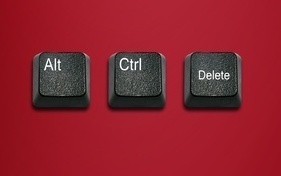 It might not seem to be going quite so fast and we may feel we have some sort of control.. So I propose that in the interests of us all sanely getting through the rest of this year, so that we present smiles instead of frowns to those around us, so we all begin to address a few of our real needs in life, needs that don’t start with the words “I have to…” or “I should…”, and so we all start to feel a little more in control, we follow my client’s example and set ourselves achievable goals that honour ourselves. But to make it just that bit easier to achive rather than making a year long commitment I am going to break the exercise down into smaller chunks. I have just made a list of the 25 things I want to achieve (and can reasonably manage) in this quarter of the year (being 1/4 what my client did for the whole year), that’s from right now, the start of August to the end of October. It includes some socializing, some creative projects, some home decorating, lots of gardening (rarely a chore), some outings, some work projects and some self-development. It also includes launching a new arm of my biz. I think it’s a pretty well-rounded collection of goals. My list is manageable and not only will I feel in life-control mode as I cross things off the list, I will enjoy doing most of these. (I included some things I really will not enjoy but will be very happy to finish off). And probably most importantly, I will be aware of what I have achieved rather than worrying about what I have not managed to do. Why not join me? Make your list of 25, write it out, pin it to the fridge, and congratulate yourself as you cross another thing off your list.